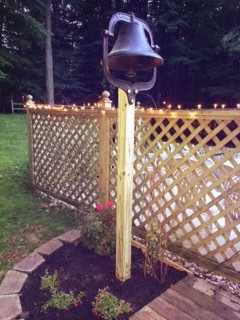 Boyd's dad gave us an old black bell on fathers day weekend. Seth and Grant easily lifted the heavy iron bell into the trunk of our car. We were at the house Boyd grew up in, his brother Blaine lives there now. The bell used to stand right outside the back door of that house. The house is on a sleepy Michigan dirt road where the next house is a quarter mile away. Blaine, Boyd and Brett would go swimming at that neighbors house and their mom, Maxine would ring the bell to call the Colbry boys' back home. Three boys, on a lonely country road with a barn made for jumping off the rafters from, a field perfect for shooting off rockets and fireworks, and a woods perfect for exploring and hunting in. I bet summer vacation was eagerly anticipated by those 3 boys. Summers are different now, camps, school commitments, and over scheduled lives. But memories are timeless. Boyd remembers his mom when he see's or hears that bell. He loved having a cup of coffee with her in the morning, sitting in the kitchen taking as she canned peaches or tomatoes, made dinner, or even just sat with him watching the birds outside at the feeder and hummingbirds in the flower garden. Listening, caring, loving. Richard and Maxine gave their 3 boys some good stuff growing up, stuff that turns boys into men, into fathers. We have 4 fabulous boys, when they hear good music or taste good food, or glide down a hill on long boards or snowboards faster than any mom want's to see, they say "that's sick"....well, okay then, our 4 boys are sick! Now our girls are sick too, but I had a friend ask me to advocate for boys, because in the world of adoption, boys are left behind. For some reason girls get picked more often. We didn't plan on choosing boys, or girls when we chose to adopt. We were matched with Lian as a baby. When we decided to adopt again we were looking at kids with albinism, we found Jack...waiting. When we decided to add another child with albinism, it was overwhelming the number of boys waiting. How do you choose just one of them..... leaving so many behind? 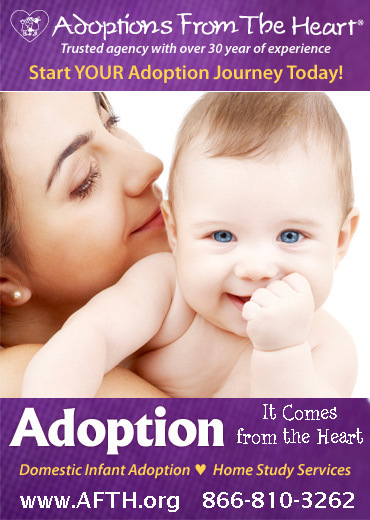 If you are seeking adoption and reading this wondering, boy or girl, don't wonder, take gender off the list of things to decide, give a boy a chance too. Maxine's bell is now by our pool. Boyd is in Budapest and we wanted to surprise him when he gets home. Jack dug a hole 4 feet deep, Eli carried each landscape stone from the car to the back yard one at a time. We sunk the pole, laid the stones, cut the wood, and poured cement. Max loved flowers, we planted a rose bush, a clematis and some little petunia's around the bell. I could not have done it without them, our strong sweaty boys. It will be a nice surprise for Boyd. We wish Maxine could have known all of our kids, but I am not worried, Boyd will pass along all she taught him. And her bell will call them home.